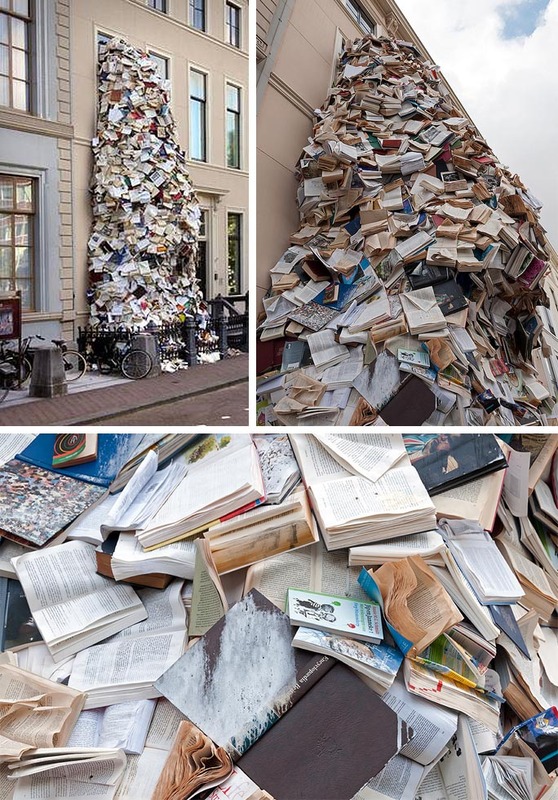 As part of the Paper Biennial 2012 at the Meermanno Museum in The Netherlands, Spanish artist Alicia Martin has created one of her site-specific, signature book sculptures using thousands of books donated by the public for the event. Martin’s sculpture pours out of one of the museum’s windows, down the façade and onto the street. Quite an impressive feat. The installation will be on view through November 25, 2012. All photos by Ed Jansen except second from bottom left courtesy of Meermanno Museum. This entry was posted in Art, Fun, Just Plain Cool, Street Art, Stuff We Like. Bookmark the permalink.